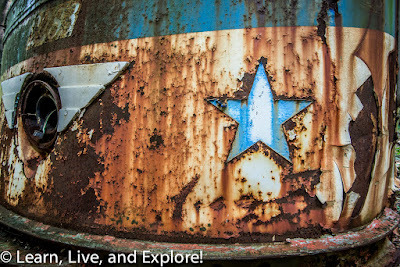 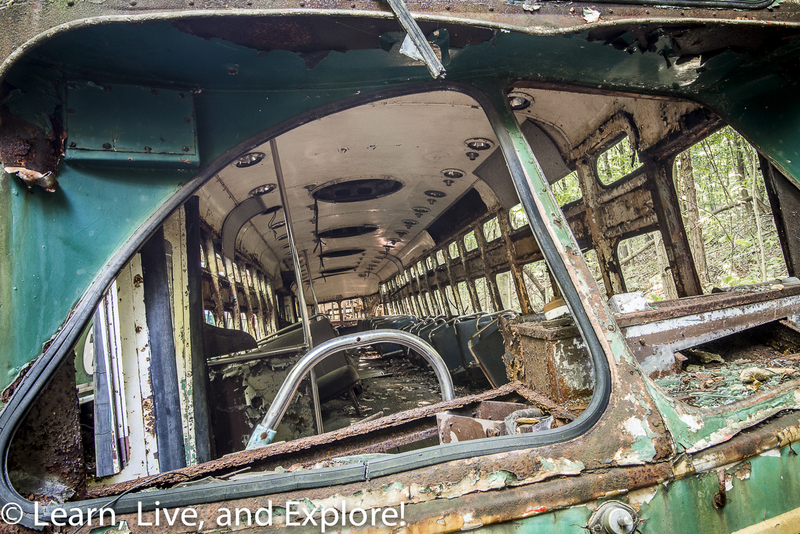 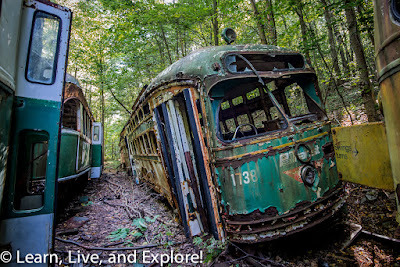 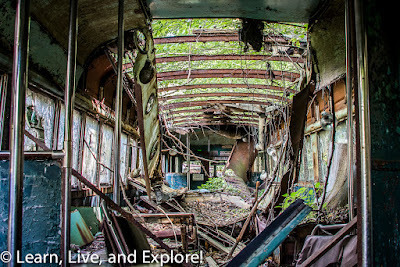 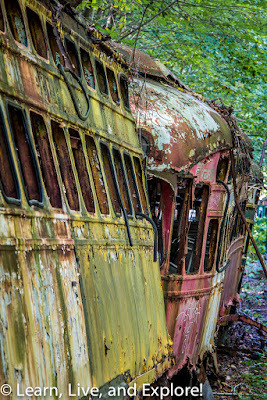 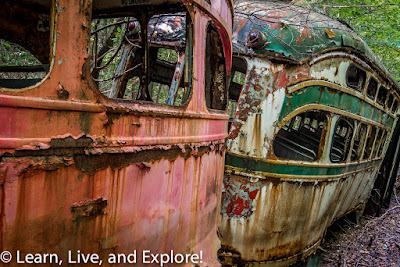 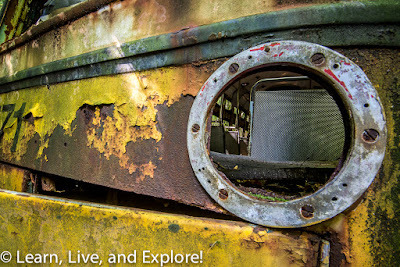 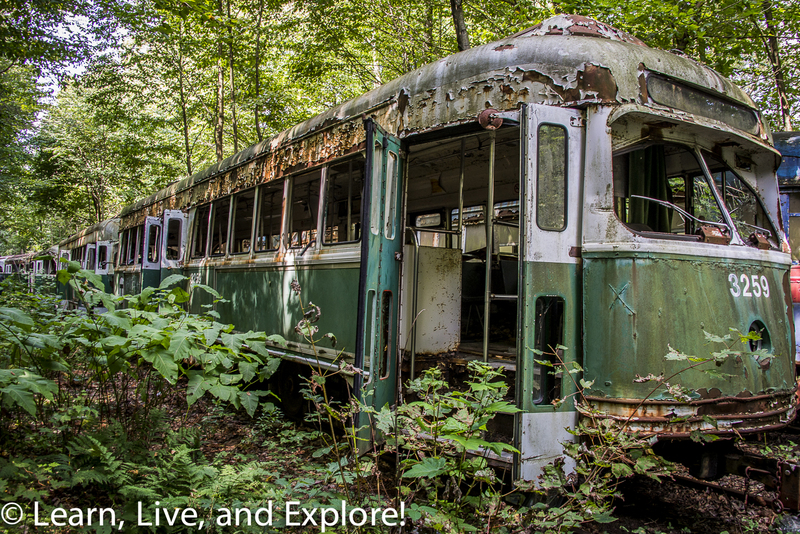 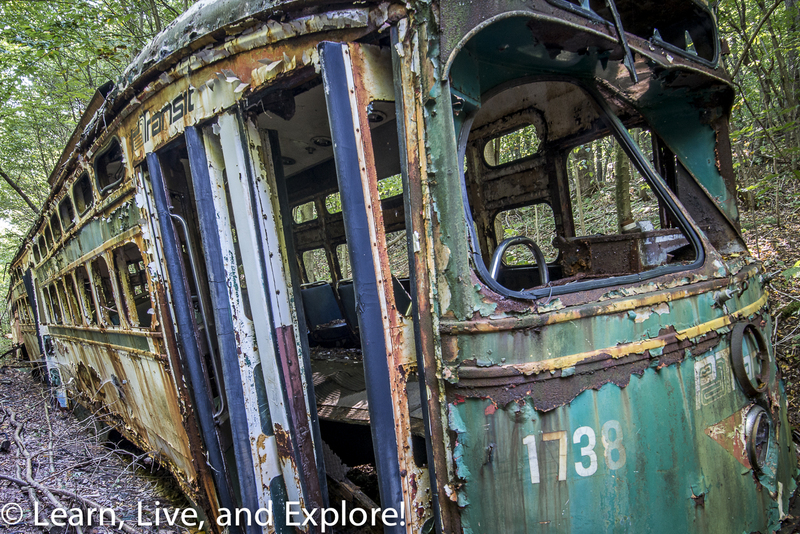 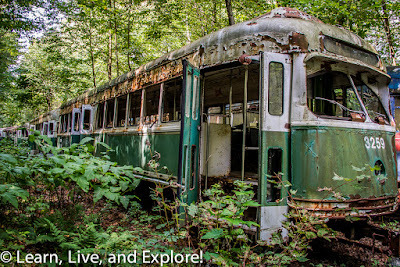 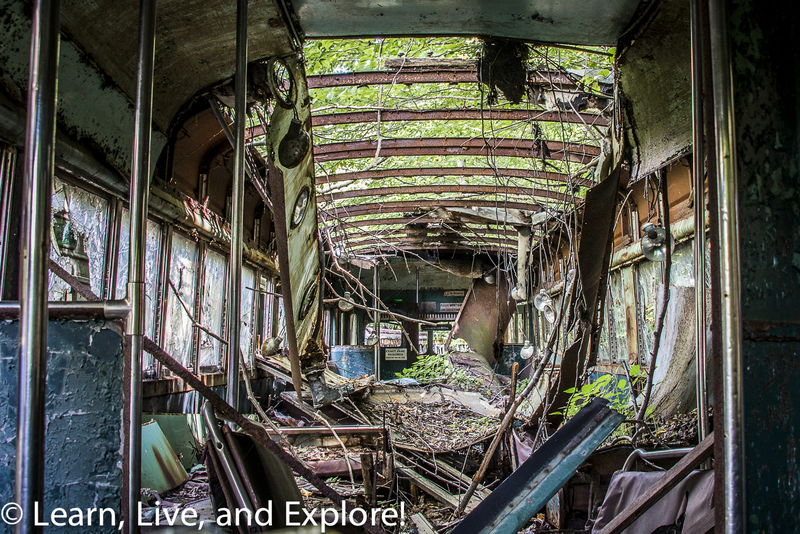 A Secret Forest of Abandoned Streetcars ~ Learn, Live, and Explore! Last weekend, I got to walk into the woods of Pennsylvania on the hunt for a collection of old, rusting streetcars. 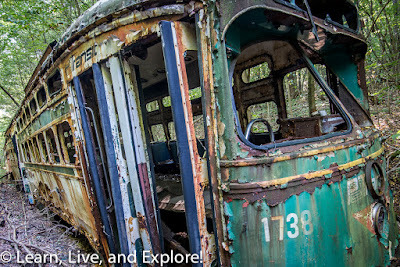 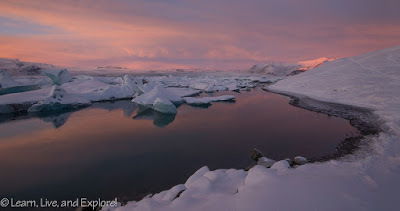 For a long time, this location was kept private, but the recent popularity of group tours aimed at amateur photographers has made the site much easier to suss out with some minor internet searching on abandoned places photography. 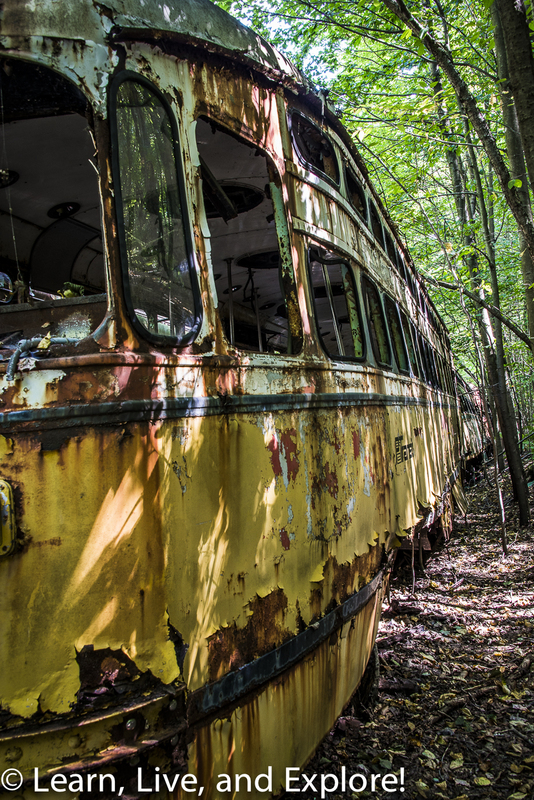 Officially, the streetcars are on private property, and you will be trespassing if you go on your own. 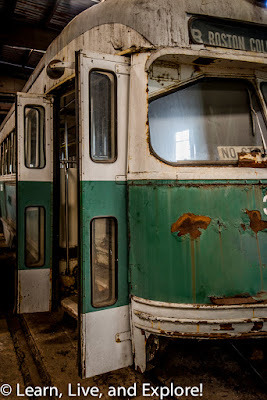 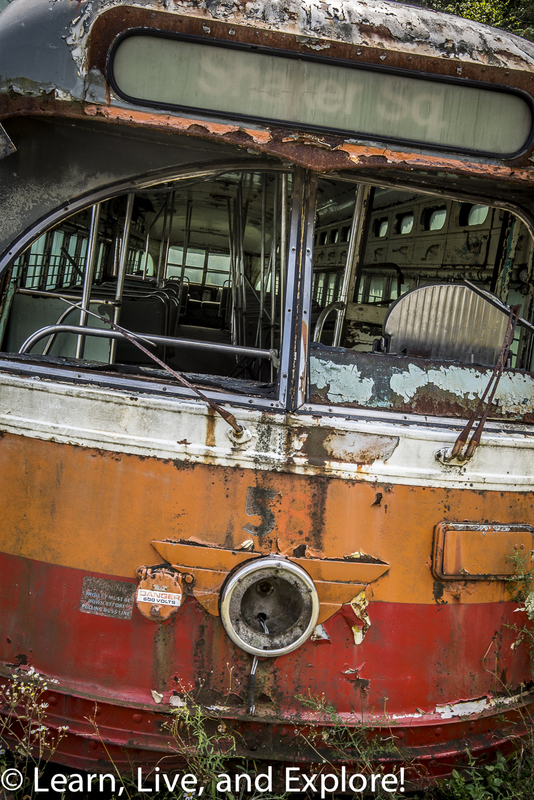 The owner of the property has made arrangements with Abandoned America to minimize his liability while allowing interested photographers the chance to see his collection of streetcars he has accumulated over the last 25 years. 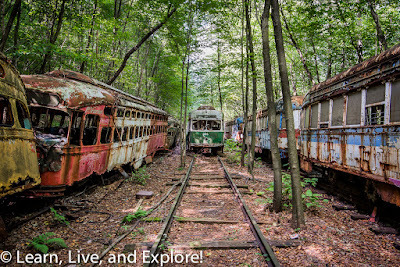 Getting to the main grouping of cars can be a bit challenging with the uneven ground and overgrown plant life. 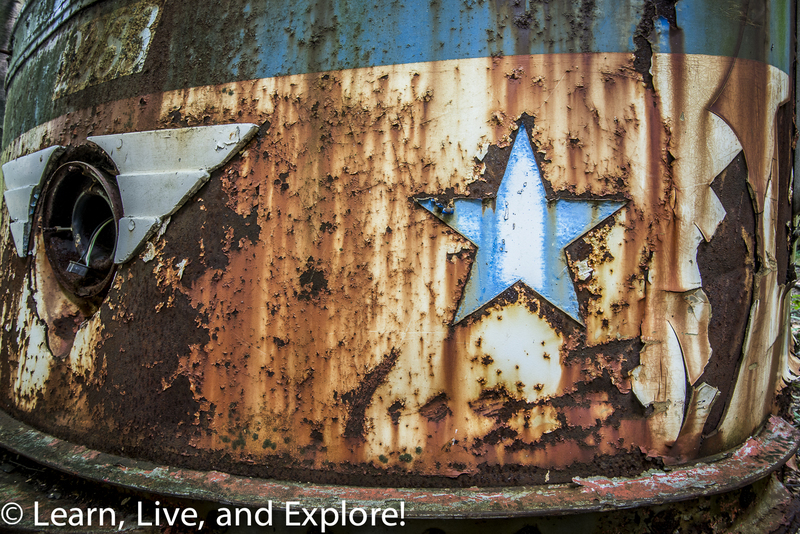 You have to keep focused on where you are stepping, even when the growth clears out a bit. 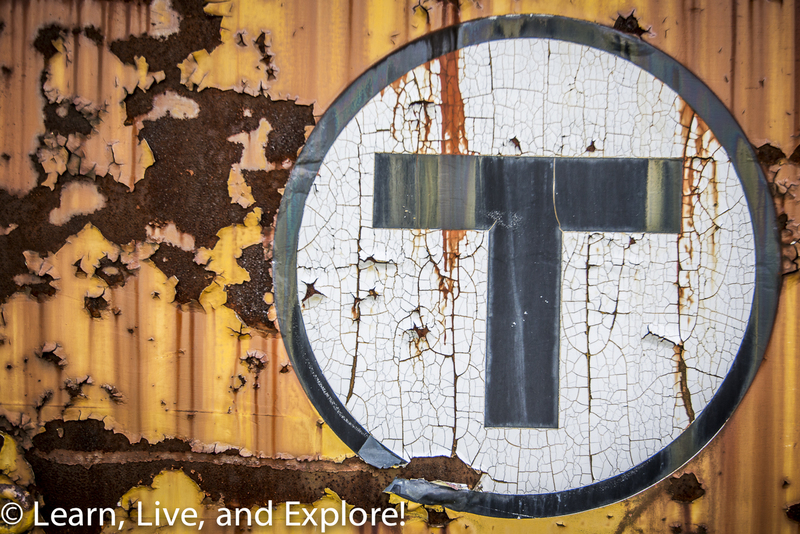 Not only do you need to mind where you walk, but you also have to watch for rusted metal that could cut you. 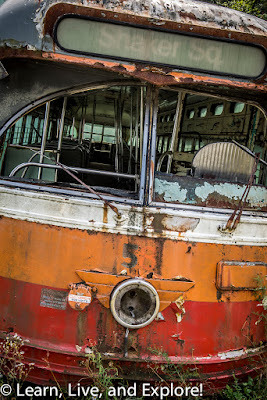 Actually entering the cars is not an option, as the flooring (if it is still there) is too rusted or damaged to hold the weight of the average adult. I may be making this out to be more treacherous than it is, but what I think is common sense may not be perceived the same way by someone else -- be solid on your feet and smart while shooting. After walking back in time in the woods, you will also have the option of exploring the owner's warehouse of cars that are in better shape. 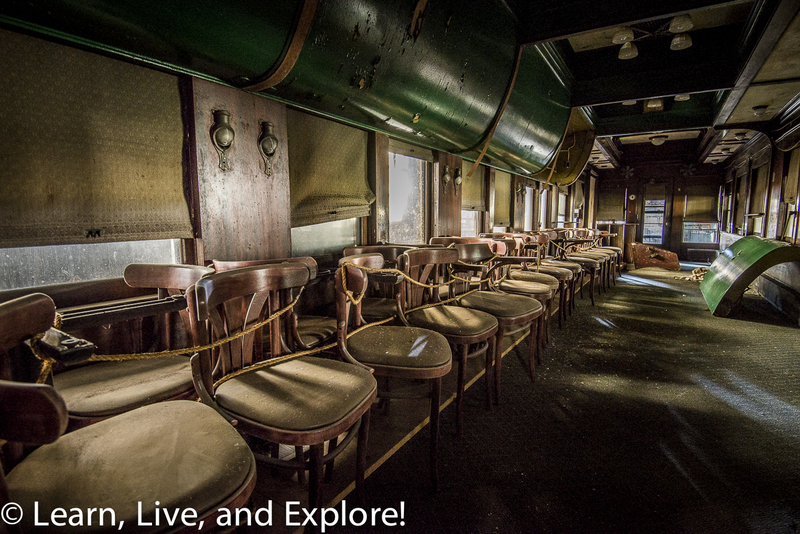 In fact, this is where he is storing a dining car of the Pennsylvania Railway that is over 100 years old. It reminded me of one of the cars from my childhood model railroad set. 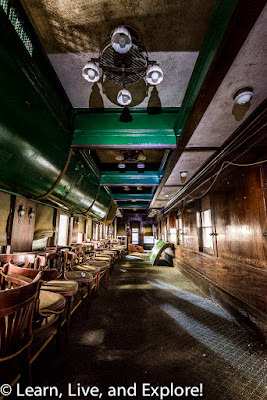 The interior is still in good shape, and you can see the old window shades, light fixtures, and icebox - complete with a slot for actual blocks of ice to be stored for refrigeration purposes. 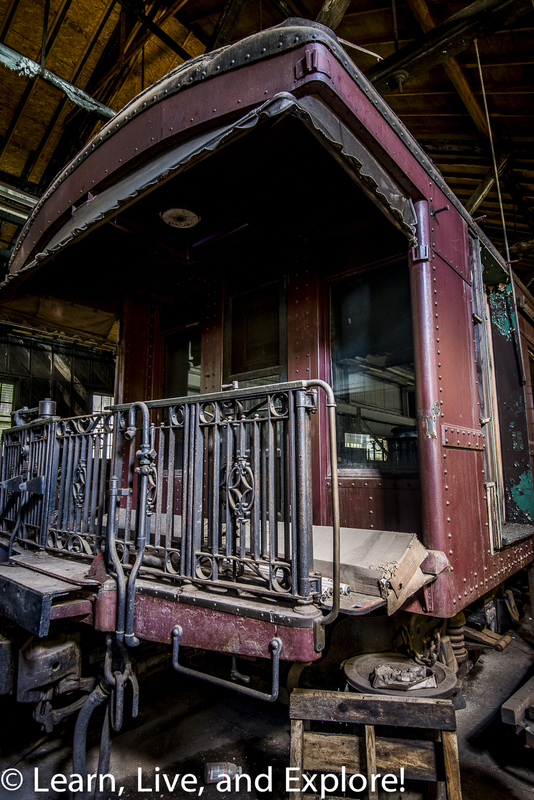 The car is very dark inside, so I used my headlamp to maneuver around and long exposures for the photos. If you're interested in seeing these streetcars in person, watch the Abandoned America workshop page for upcoming dates.